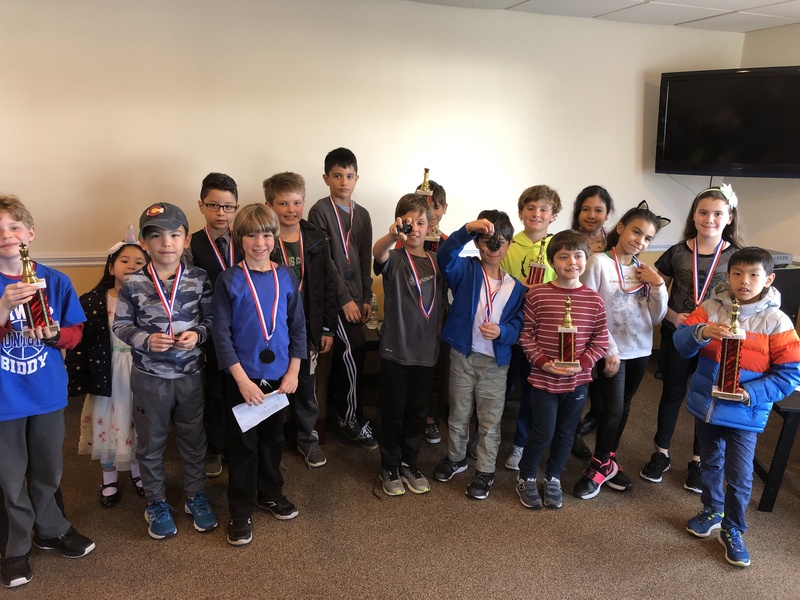 This month's K-12 Scholastic Championships was a sold out event with 44 players. There was plenty of competition in each section. Members of CCFC's Dream Team and Varsity Dream Team had strong showings today. 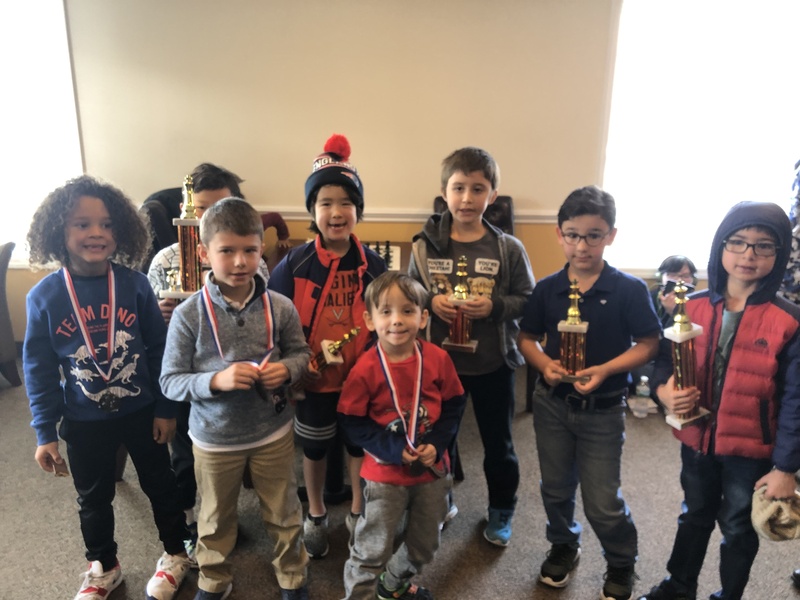 Dream Teamer Ethan Kwong won first place in the K-2 section with 3.5/4 points! Pratap Sharma, Benjamin Hong, Tyler Marcus and Juan Carlo Bedoya-Ordonez finished in 2nd - 5th respectively. The K-5 section was one of our most competitive ever. Dream Teamer Ian Moffitt took first place honors with a perfect 4/4 score! Anthony Low, Leo Graham, Andre Babajanyan and Matthew Little finished just behind in 2nd - 5th place. 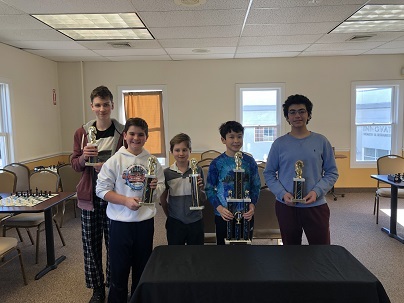 Finally, in our largest K-12 section ever, it was three Varsity Dream Teamers (Max Ingargiola, Henry Graham and Mikhail Bilokin) who finished tied for first with 2.5/3 each. Also wiith an impressive run, Thomas Sargent finished in the four way tie with 2.5/3 as well. Of the players that scored 2/3, Ali El Moselhy had the best tie-breaks and took fifth. Congratulations to all of today's winners! We also want to thank all of the players for demonstrating such great sportsmanship throughout the tournament. Finally, we had many participants entering into the tournament chess arena for the first time and we want to congratulate them on a job well done.